In the sought after golf course community of the Meadowlands, where natural beauty meets southern hospitality, is this one owner 3BDR/2BA/2CAR home. Entering the home from the low country covered front porch, you will be welcomed by the functional, open split floor plan. 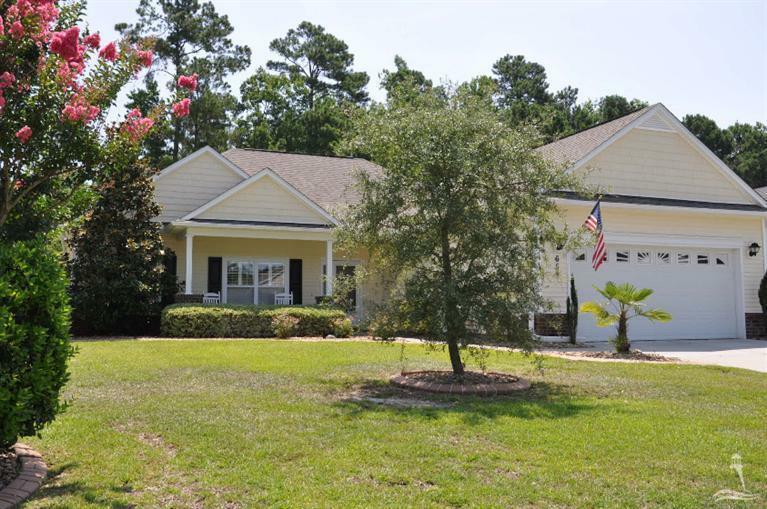 There are sloped and tray ceilings, an eat in kitchen, formal dining area, utility room, crown molding, plantation shutters, ceilings fans, recessed lighting and a screened in porch. There is an oversized garage with a utility sink, service door, rear patio, low maintenance exterior, irrigation system, a professionally landscaped yard with concrete edging and River Rock arranged around the perimeter of the home. Meadowland amenities include golf, club house, exercise facility and outdoor pool.